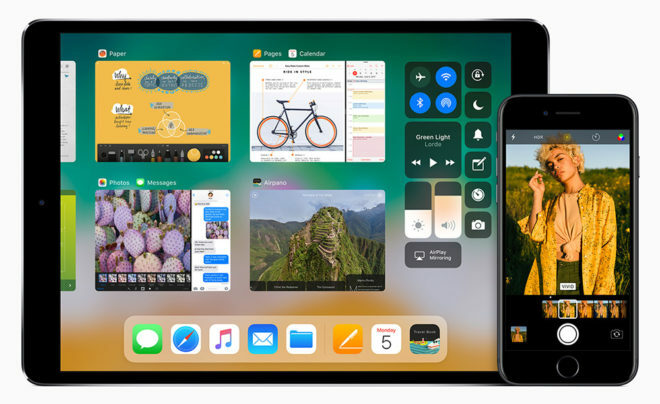 Today Apple held its WWDC 2017 keynote, and as expected, the company took the wraps off of iOS 11.
iOS 11 is the next major update for Apple’s mobile operating system, and there are some big changes included. For example, Apple Pay will now support person-to-person payments, letting you send money to your friends. You can send money in Messages or use Siri, and you can pay using the debit or credit cards you’ve got in your wallet. When you pay someone, it’ll be stored on an Apple Pay Cash account, and that money can be used for Apple Pay payments or transferred to a bank account. Another big update coming with iOS 11 is to Control Center. The updated Control Center will offer quick controls to features like Wi-Fi, Bluetooth, orientation lock, music controls, and more on one page. You can also 3D Touch on a Control Center button to access even more information and controls. iOS 11 is bringing with it a major App Store refresh, too. 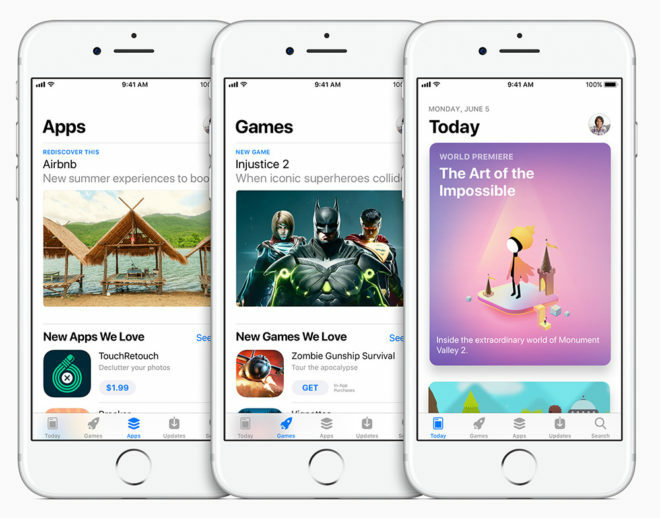 The new App Store will look similar to Apple Music, complete with stories and editorial content. The new Today tab will show new apps for you to check out as well as interviews with developers and app tips, and there will be dedicated tabs for Games and Apps for you to view new releases and top charts. The iPad will be a major focus of iOS 11, and Apple is making its tablet a much better device for professional use. The update will add a customizable dock for quick access to your favorite apps, a redesigned app switcher, the ability to drag and drop content between your running apps, and a new Files app that’ll let you manage the files on your device and in the cloud. This includes support for iCloud Drive as well as third-party services like Dropbox, Box, Google Drive, and more. There are lots of other smaller improvements coming in iOS 11, too. Apple Maps is gaining indoor maps for airports and malls as well as speed limit info and lane guidance for driving, HomeKit will let you control speakers thanks to AirPlay 2, and Apple Music will offer profiles and support for following your friends to help you discover new music. Photos will get better with Portrait Mode improvements and smaller photo and video sizes using HEIF and HEVC formats, and a new Do Not Disturb While Driving feature will let your iPhone automatically detect when you’re driving and silence notifications. Apple is also making a major augmented reality play in iOS 11 with ARKit, which will help developers bring better AR experiences to iOS devices. Developers can also look forward to SiriKit improvements that’ll let them integrate Siri into apps like to-do lists and reminders, and MusicKit that’ll let devs integrate Apple Music into their apps. iOS 11 will be available as a developer preview today, and public beta testers will be able to get at it later this month. The public iOS 11 release will happen this fall. Not familiar with Apple, is this something it lacks already? I’m interested in knowing if the new LTE carrier aggregation & MIMO will be supported in the new iPads. This is the listing: LTE Advanced (Bands 1, 2, 3, 4, 5, 7, 8, 11, 12, 13, 17, 18, 19, 20, 21, 25, 26, 27, 28, 29, 30, 38, 39, 40, 41) Would tis simply be software/firmware or does the chipset need to be enabled? If they didn’t support it on release, it never will as the hardware isn’t capable. I think only their phones have it if anything. Useless. I was hoping for more in the business side as I’m forced to use iOS at work. All I see is a bunch of Android widgets.